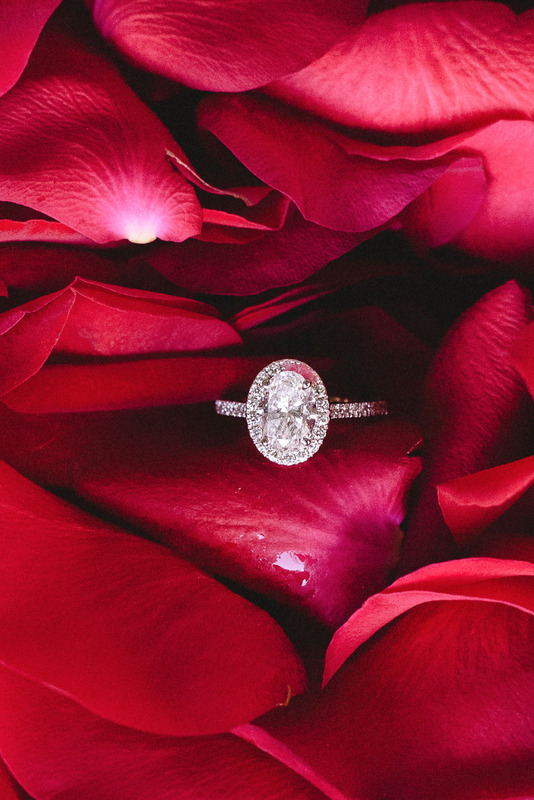 We always love when romantic people think up unique and beautiful ways to propose to the one they love. 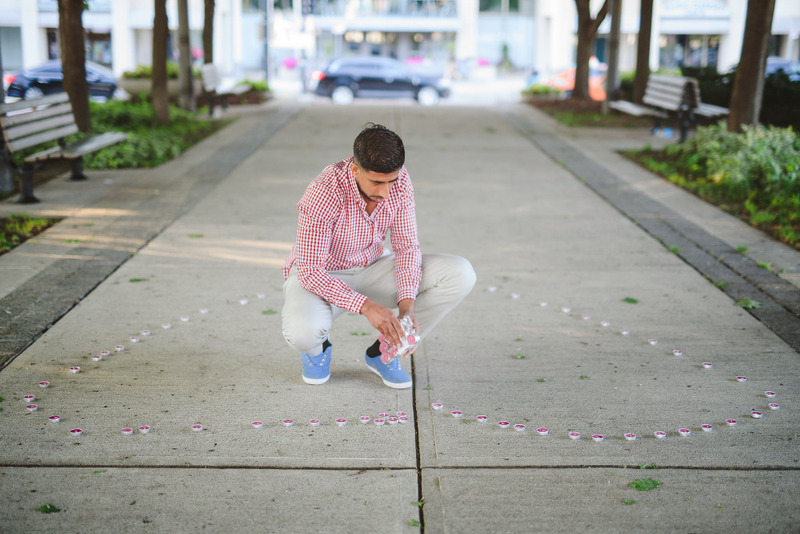 This creative husband-to-be prepared a thoughtful scavenger hunt for his girlfriend, Sukraaj. Her scavenger hunt included breakfast, a trip to the spa and clues from each of their friends and family. 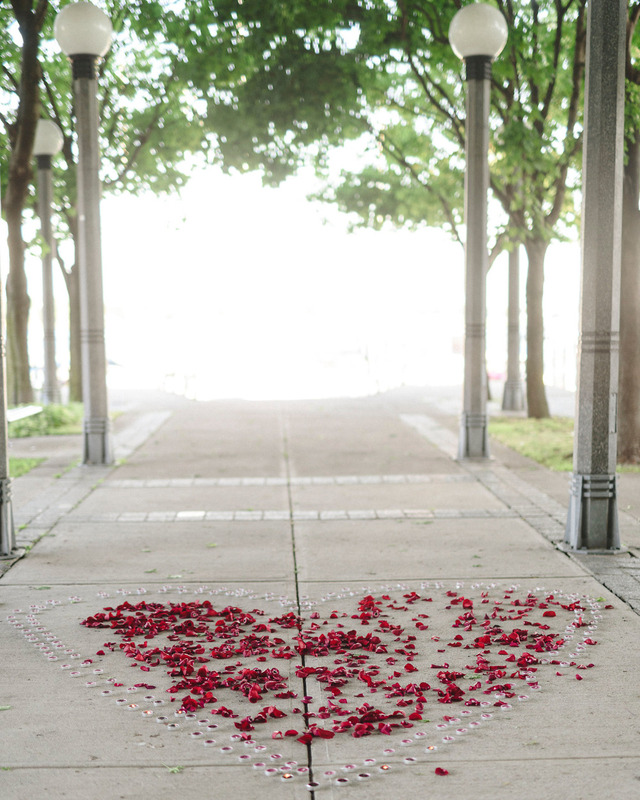 His proposal included all the people that were important to them so they could take part in this special moment in their lives. After she said yes they had a stunning engagement session, all photographed by Jessilynn Wong Photography. See it all in the full gallery. Moments before Sukraaj’s limo arrived to the proposal site Harveer and I were lighting candles and spreading out rose petals. I looked up and asked him if he was nervous, because I was! Harveer said no, he was just excited for her to arrive. He was calm, cool, collected and ready for his big moment. Through out the day, Sukraaj texted Harveer, but he didn’t answer. 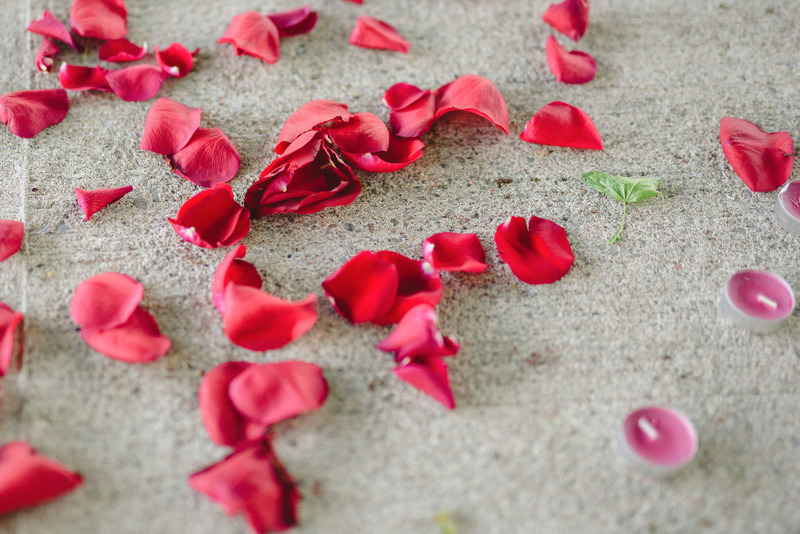 He wanted the day to be veiled in mystery, their first conversation had only four words… will you marry me?